The Instant Pot is the new must-have kitchen appliance that can make your life a whole lot easier in the kitchen, especially as a time-saving device on busy days. An Instant Pot is an intelligent multi-cooker, that's essentially an electric pressure cooker. When you don't have time for traditional or slow cooking, the Instant Pot is a fantastic solution. Meals will be cooked a lot faster, using less energy. Want to get started with the Instant Pot, or add to your growing repertoire of Instant Pot recipes? We've collected our favorite Instant Pot recipes here (from both our site and beyond) for appetizers, main dishes, side dishes, desserts, and even beverages, to inspire you in the kitchen. From chicken noodle soup and chicken bruschetta, to macaroni and cheese, pork tacos, scalloped potatoes, and cheesecakes, you'll want to make this your go-to guide for inspiring Instant Pot recipe ideas. Want to learn more about Instant Pots, slow cookers, and pressure cookers? Find out what the different is between these convenient kitchen appliances, and how to use them safely, and which one is right for you in our essential kitchen gadget guide here. 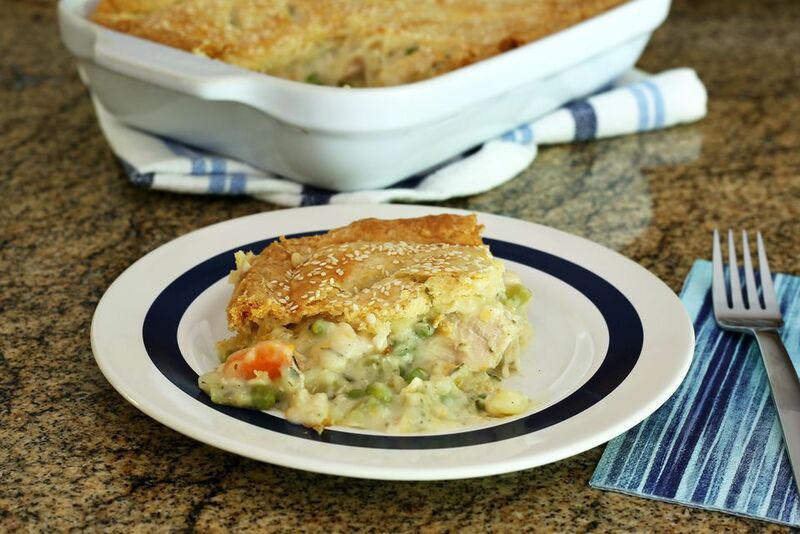 The Instant Pot makes this wonderful, homey chicken pot pie recipe so simple to prepare. The easy pastry is a snap to prepare with a food processor, and it can be made—along with the chicken filling—up to a day in advance. If you prefer to skip the baking altogether, the filling recipe included here can also be served with easy, fluffy dumplings. Here's an awesome, hearty, Instant Pot chili recipe that's ready to eat in under an hour from start to finish, but tastes like it simmered on the stove top for hours. Delicious, belly-warming, ground beef chili is packed with nutritious and colorful vegetables. Creamy, perfect mashed potatoes are quick and easy to make, with this excellent Instant Pot mashed potato recipe. Using an Instant Pot cuts the time in half, so you can get this yummy side dish onto the table quicker. Want a great recipe that you can use in burritos, enchiladas, or as a side dish to Mexican meals? These tasty Instant Pot refried beans are a snap to prepare, and are ready in just over an hour. That's a fraction of the time they would take on the stove top. Scalloped potatoes always look beautiful on a buffet or dinner table, and the Instant Pot makes it so easy and quick to make this popular, cheesy, and indulgent potato side dish, in just over half an hour. When it's cold outside, a warming bowl of hearty beef stew really hits the spot. Make this beef stew recipe in fall and winter, when you want a filling and flavorful meal to serve family and friends. This easy, complete homemade spaghetti dinner recipe is nothing short of amazing. Ready to serve in less than 30 minutes, this is a great family dinner idea for busy weeknights, when you're rushing to get a satisfying meal on the table. Spaghetti squash is super easy and quick to cook in the Instant Pot. You can cook the squash in about 10 minutes, then separate it into spaghetti-like strands, for topping with spaghetti sauce, or tossing with butter and seasonings. This recipe includes more tips for serving ideas. Rich and flavorful chicken noodle soup from scratch in about an hour has never been so easy. This Instant Pot recipe creates an incredibly delicious broth, with big hearty vegetables and tender cooked noodles. You won’t believe how quickly you can make this favorite comfort food recipe using the Instant Pot. This recipe is gluten-free and makes an easy lunchtime soup or light dinner that the whole family will love. Delight guests when you serve up this yummy meatballs appetizer that's so easy to make in the Instant Pot. Whether you serve these Instant Pot meatballs as sliders or with toothpicks, they are the ultimate party appetizer or family snack. Instant Pot pizza dip is a fabulous recipe to use for game day parties and buffets. With only four ingredients, this super easy, cheesy, pizza-inspired dip is a breeze to make in the Instant Pot. Inspired by a popular restaurant chain appetizer, this creamy artichoke and spinach dip recipes makes a fabulous party appetizer idea. Whip it up in less than 5 minutes using an Instant Pot, grab some chips, crackers, or baguette slices, and start snacking! Instant Pot chicken bruschetta is an easy Instant Pot chicken appetizer recipe. 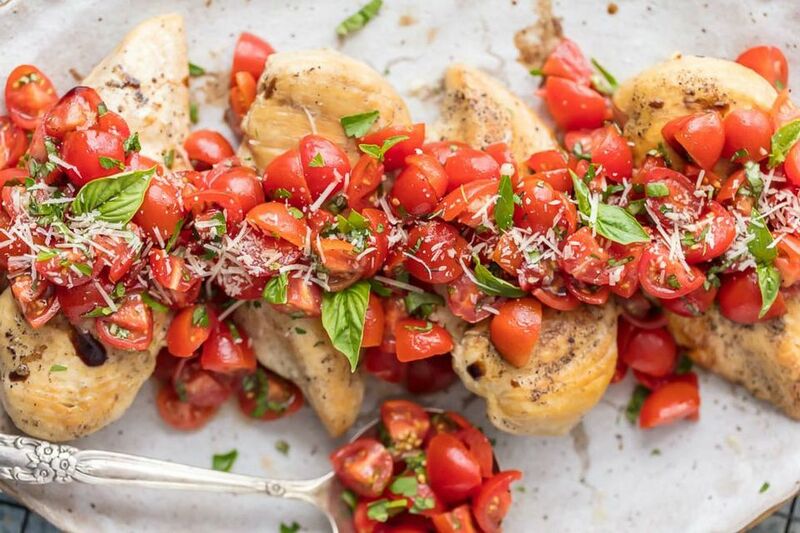 Bruschetta chicken with tomatoes, basil, balsamic, and parmesan cheese is delicious as an appetizer, or a casual weeknight dinner. You'll love this recipe for yummy, juicy little cocktail weiners that are the perfect snack during football games, or just when you're having people over. Super kid friendly, this popular appetizer recipe takes just one minute to cook. Serve with toothpicks. Serve up a tasty and satisfying family pasta dinner, with this delicious Instant Pot sausage and peppers pasta recipe that is easy to make in just 30 minutes. The homemade, rich tomato sauce is enhanced by fresh bell peppers, which taste fabulous with hearty sausages. This healthy vegetarian chili recipe is packed with essential vitamins and the goodness of quinoa. It's all so easy to put together, and is ready for dinner in just 30 minutes in the Instant Pot. Makes a great brown bag thermos lunch for the office, or sending to school with kids. Macaroni and cheese is an American comfort food classic that is a family favorite for dinner. When made in the Instant Pot, this recipe creates an unbelievably creamy, cheesy sauce that is out of this world! So creamy and infused with garlic, these Instant Pot scalloped potatoes make an irresistible side dish for your holiday dinner, or weeknight dinner any day of the week. Here's a winning Instant Pot recipe for pork carnitas that is just perfect for making authentic pork tacos from scratch. This easy to follow recipe is ready in less than an hour, and makes a great, healthy, easy weeknight dinner, with corn or flour tortillas, that kids will go crazy over. Smothered shredded beef burritos are sure to become a go-to meal in your household, once you try this easy Instant Pot Mexican recipe. These smothered beef burritos are covered in a flavorful, beefy sauce, and ooey, gooey melted cheese, for a super-filling dinner that everyone in the family can get on board with. Makes a great potluck dish, too. Instant Pot shrimp and grits is a delightful one-pot meal. Tender shrimp and crisp bacon in a spicy tomato-based sauce combine with creamy grits to create a delicious fusion of Southern flavors. All you need are a few easy ingredients, an Instant Pot, and about 45 minutes to have this amazing, perfectly tender and juicy Instant Pot whole rotisserie chicken. Your family will love it, and it makes a fabulous dinner party entree, too. This Instant Pot salsa verde chicken recipe is packed with flavor, super easy to prepare, and makes a wonderful taco filling, or the base for a yummy chicken casserole. Or you can just make some rice, top it with the chicken, a little cheese, and your favorite herbs, and have an easy weeknight meal. Want an easy weeknight dinner that can be on the table in 45 minutes? This Instant Pot meatloaf recipe is so easy and produces an amazingly moist meatloaf that your whole family will fall in love with. This is comfort food at its best. You'll love knowing how to make this flavorful, vegan friendly, gluten-free, healthy cauliflower recipe that’s infused with Indian spices and extremely easy to make. The simple flavors make this Instant Pot vegetable recipe absolutely delicious and a great choice for a vegetarian main dish. Apple cider is a favorite drink during the fall and holiday months. Making your own homemade apple cider from scratch couldn’t be easier when you use an Instant Pot. Using Meyer lemons, as directed in this creative recipe, makes this Instant Pot cocktail recipe so sweet and delicious, and turns it a gorgeous shade of deep yellow that looks just like the real thing. Create a wonderfully warming, minty, creamy hot beverage that's perfect for enjoying during the winter holidays, using an Instant Pot. This peppermint vanilla latte is like Christmas in a cup, and only uses five easy ingredients. Here's a wonderful homemade hot chocolate recipe that's mixed first, and then warmed in the Instant Pot. Topped with whipped cream, it's an indulgent, comforting winter beverage that you're sure to make again and again. Learn how to make New York style cheesecake in the Instant Pot with this easy recipe. It's so much simpler than the traditional method for cheesecake and delivers a velvety smooth cream cheese cake that you will be proud to serve. This recipe is great for holiday dessert tables. Banana bread is a comforting snack food that makes a great after school treat. Or top warm slices with vanilla icing, to make it into dessert! This Instant Pot banana bread recipe makes a moist, dense bread you will love. Sticky toffee pudding is a classic British dessert. This recipe gives you instructions for making an amazingly delicious version at home in your Instant Pot. Serve this moist, warm treat as a special dessert at holiday dinners. This easy vegan chocolate cake made in an Instant Pot is so versatile, and utterly decadent. It's so divinely moist, fluffy, and soft, no will believe it's egg-free and dairy-free. Makes a great birthday cake, or an indulgent dessert for family weekend dinners. Instant Pot Oreo cheesecake is an incredibly easy dessert to make. It's the perfect size for your family celebrations, too. With Oreo cookies in the crust, and in the cheesecake filling, this is a decadent dessert your family will love.